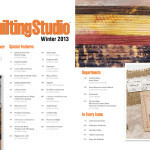 Art Quilting Studio magazine just came out with their Winter 2013 issue and guess what? I have a three-page spread in this issue. The topic of my piece is “From Photos to Quilts” where I discuss the process of creating quilts based on photos I have taken. 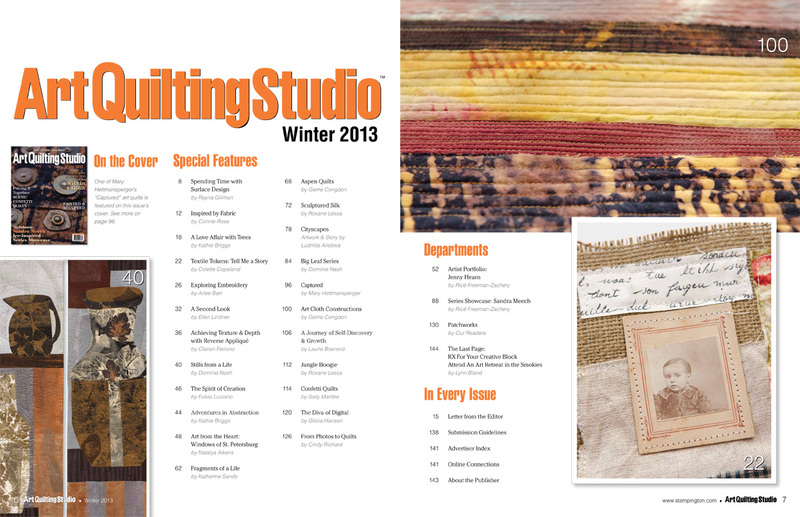 Here is the table of contents. It’s a quality trade magazine available at books stores, newsstands & online. And, have a wonderful 2013!